Features: "Pu-erh or Pu'er Tea is a variety of post-fermented tea produced in Southwest China's Yunnan province. The cultivation of Pu'er tea can be traced as far back as the Chinese Han Dynasty and was made from the leaves of broad leaf tea trees grown in a group of Mountains in Xishuangbanna Area of South Yunnan. 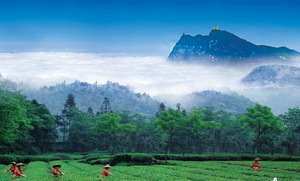 The best known Pu'er areas are the Six Great Tea Mountains renowned for their growing climates and environments. With its tremendous health benefits, Pu-erh Tea is getting more and more popular both in China and outside. Our Tea Adventure in Yunnan is carefully designed to meet the needs of passionate and intrepid tea amateurs and tea sommeliers exploring and understanding its cultivation, processing, brewing, packaging, storage, and judging quality etc. The tour in the minorities' villages adds another dimension of Yunnan's diverse and unique cultural landscape." Features: Chinese people are drinking tea for nearly 5,000 years. 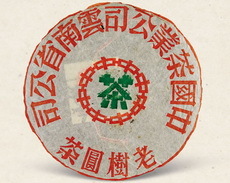 Chinese tea is a culture and tea drinking has been an integral part of Chinese daily life. 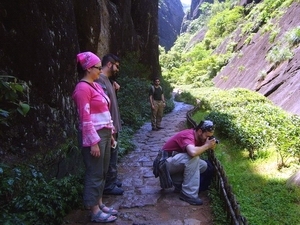 Our China Tea Tour will introduce you one of the most popular Chinese Tea production Regions - Wuyi Shan (Mt.Wuyi), the birthplace of Chinese Wulong (Oolong) Tea and Black Tea. 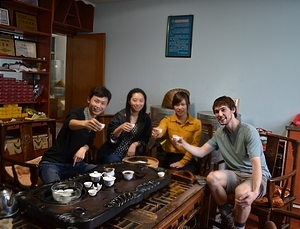 In this tour you will learn Chinese tea culture, having special tea factory tours, tea tastings, tea garden excursions, and enjoy exhilarating tea ceremonies. The tour is sure to give you a lifetime memories both for tea professionals and novice tea lovers.